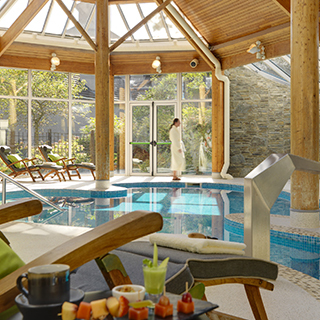 Enjoy an luxury stay in the one of the most picturesque 5 star hotels in Ireland, Sheen Falls Lodge. Use this gift voucher on AllGifts.ie to order from Sheen Falls Lodge, the award winning hotel and spa in Kenmare, Co. Cork. One of the most picturesque 5 star hotels in Ireland, Sheen Falls Lodge is set on 300 acres of magical woodlands and cascading waterfalls in Kenmare. 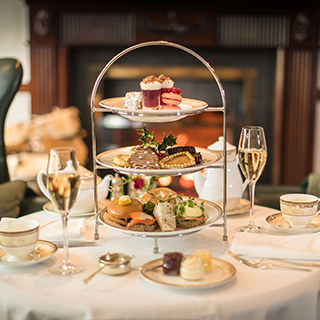 With its luxury accommodation, its reserves of ageing port, its rare books, sumptuous cuisine and health spa, Sheen Falls retains the warm, welcoming atmosphere of a luxury country resort. Use this voucher on AllGifts.ie to make a booking for Sheen Falls Lodge. Please contact us with your journey start point and we will provide you with detailed directions to Sheen Falls Lodge. 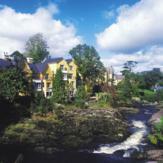 Killarney is the closest train station to Kenmare and Sheen Falls Lodge. The train service into Killarney is the Dublin train which passes through the Irish countryside. There are up to 4 a day, depending on the time of week and time of year. Please contact the hotel for further information. When the first stones were laid down in the 1600's how could anyone have imagined that this magnificent lodge in Kenmare, county Kerry would become one of the most celebrated 5 Star hotels in Ireland. The estate boasts a plethora of outdoor activities; salmon fishing on a private stretch of the Sheen River, daily horse riding treks from the stables at the Lodge, hill walking trails and cycling tours. 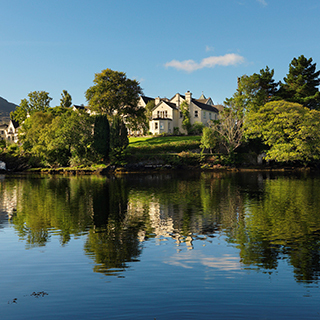 Lodge and the Estate our dedicated staff uphold the most outstanding service to make your stay as unforgettable and unique as Ireland itself. 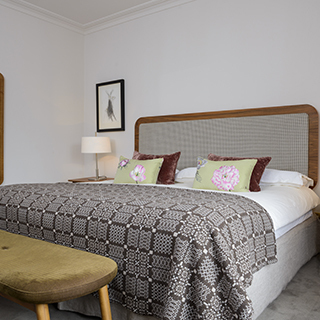 Sheen Falls Lodge is a member of Relais Chateaux and since opening in 1991 has received many prestigious Awards and Accolades, including the AA Inspectors Hotel of the Year award 2002-2003.